Add some real vibe to your mastering projects with our take on the vintage diode bridge compressor made famous by the Neve 2254. Update - the DBC-M is now available with a black or grey faceplate. The DBC-M is a Mastering version of the popular Buzz Audio DBC-20 diode bridge compressor and offers fully switched control for repeatable settings. The diode bridge gain reduction element coupled with our innovative side chain design delivers a vintage vibe like no other. 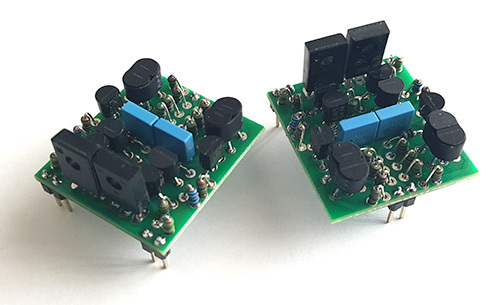 The DBC-M audio path uses our Class A discrete amplifier designs in a balanced configuration from input to output with a radio steel laminated transformer to couple into the diode bridge element. This overall combination produces a desirable compression character that can best be described as tight, colourful and rich with harmonics. In the style of compressors from the 60's, the DBC-M incorporates a automatic ratio whereby the compression ratio is progressively increased with deepening gain reduction. This feature allows for the control of very dynamic signals in a seamless fashion and is also a very desirable characteristic when used on complex percussive material. This compressor is easy to get happening with six switched attack and release times covering a wide range, including an interesting auto release mode. Big knobs with 24 position stepped Elma controls are provided for the amount of compression and the output gain. The compressor can be switched to a Soft mode whereby dynamic peaks are partially retained and another switch introduces a high pass filter to the side chain to lower compression sensitivity at low frequencies. The attractive "point source" red LED bar graph meter accurately displays gain reduction and the gloss finish knobs adds to the vintage feel of the DBC-M. The DBC is also available in a recording version. GAIN - 24 position Elma switch that adds gain at the output to correct for lost level with a -2.0 to +10dB range in 0.5dB steps. COMPRESSION - 24 position Elma switch that sets the amount of compression. HARD/SOFT - adds dynamics in soft mode for times when very light compression is required. 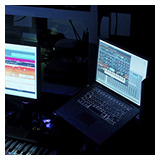 FLAT/BASS - reduces compression sensitivity at low frequencies for more bass punch, approx 8dB at 100Hz. I have a DBC-M and want to say I love the unit. It sounds fantastic and the compression action is great. Between the side chain filter, the soft/hard switch, and the attack and release settings, you can get really creative with this compressor. I'm super happy with mine. I have a lot of SSL type VCA compressors, and the Buzz is very different, both in sound and action, yet equally versatile in what I can use it on. Great unit at a killer price! Just been playing around with the DBC-20 and done a few mastering jobs on it. I did a semi extensive shoot out vs my API2500 (replacing it in the chain) and it is definitely up there with it sonically, not quite as rounded off (i.e. a bit more open), which is really appealing for tracks with open top end. Thank you for this wonderfull compressor! I use him daily for mastering and he does magical things. I know no other compressor who can integrate transients on a mix so great, but he's also perfect with longer attacks. This unit has so many sweet spots and the action is always musical. He helps the voices and the drums in a mix in a really tasty way. 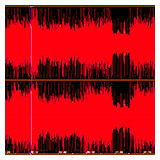 I was now looking for a unit with the bite of an SSL compressor, but without making the image small and making the transients edgy, and with a release that is comprehensible. I was not searching a STC8 or API2500, or alike. It should be something that can get colored in a somewhat direct punchy way, but less the "brown blur of color" as e.g. a Chandler LTD-2, but also not the ultra organic way like a Neve 2254 (whose attack/release is also a bit limited on the masterbus for my taste). Since I love my buzz REQ-2.2 and I really like Tims' designs in general (the SOC-20 is also very nice), I was very surprised that he developed a diode bridge compressor with exactly the feature as I wanted. 1RU, stepped attack and release with meaningful values, ​with sidechain highpass (named here "bass/flat") and a nice look (I really love Elma knobs with pointer). So how does it sound? In general, it sits pretty good between LTD-2 and Neve 2254. Whereas the Neve has that dark hifi sound and the LTD-2 is quite dirty. The DBC has a great color that isn't too much, noble, and fits in a lot of cases. The control behavior is excellent. The attacks are not pinholes or concrete, but will be shaped in a very natural way. The release does everything right and also does an excellent job on everything that's bassy (interestingly without high-pass!). Mixes with a little too tall/undefined hiphop/808/reggae - like bass drums can be taut with medium to large attack and at the same time the release results in that finished "sounds like a record" package. Surprisingly, even 3-4dB of gain reduction sounds good! On a mix where the transients of the mids are a bit too snappy, you can work with shorter attacks and then add the high pass. Here you can also catch several dB's without realising it in a bad way, except that the needle attacks are gone and the overall sound got relaxed, where otherwise I would have thrown in a multiband-band for the mids. 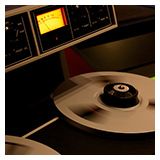 All in all, I think the device is very well suited for mastering. It feels good and be can be adjusted very quickly. I didn't need more than half a minute to find the optimum setting for the song. Specifications are typical of a production unit and are subject to change without notice. 0dBu reference = 0.775 volts RMS. The BE41 is a unique Class A discrete audio amplifier designed by Tim Farrant, the owner of Buzz Audio here in New Zealand. The circuit was originally intended for amplifying the very low level output of moving coil pickup cartridges so it features a very low self noise. 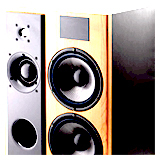 It exhibits a wide frequency response and very fast slew rate - even at high gains. The powerful output stage has a self adjusting bias arrangement for excellent reliability. There are two versions of the BE41, one optimized for low level signals (such as microphone inputs) and the other for higher line level signals. The BE41 runs on up to +/-20V power rails, whilst the bigger brother BE40 runs on up to +/-28V rails.